With Aqua Aero you are able to design the aeration system with blowers, mixers and pipelines for different chamber geometries. You have the choice of membrane aerators (as tubular-, disc- or plate aerators) and surface aerators (in the next version of Aqua Aero). From a database you can choose fitting aggregates for the single calculation steps. As important efficiency parameter the oxygen efficiency is provided. With the calculation of investment, reinvestment and operating costs the economical calculation of Aqua Aero covers the whole life cycle of the aeration. And you get a detailed documentation of the calculations and true scaled drawings of the equipment. 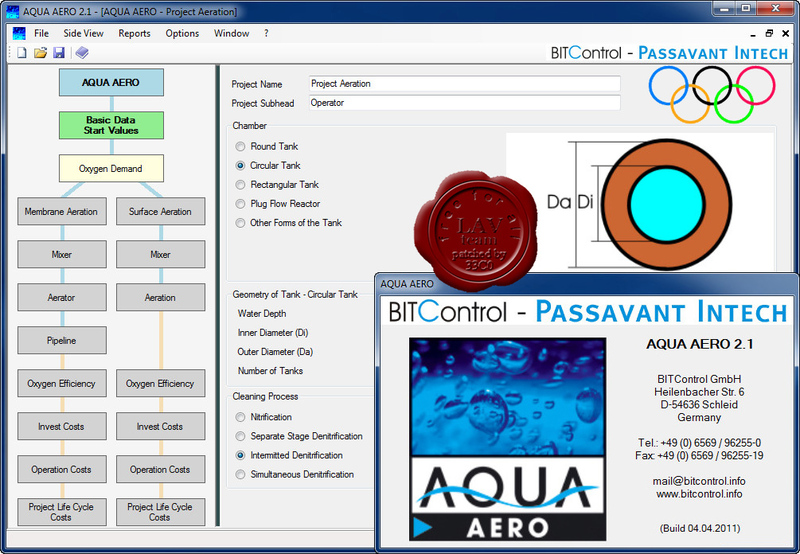 And an important feature added to Aqua Aero for optimizing the construction: now you can calculate more than just one project and compare them objectively by one value.